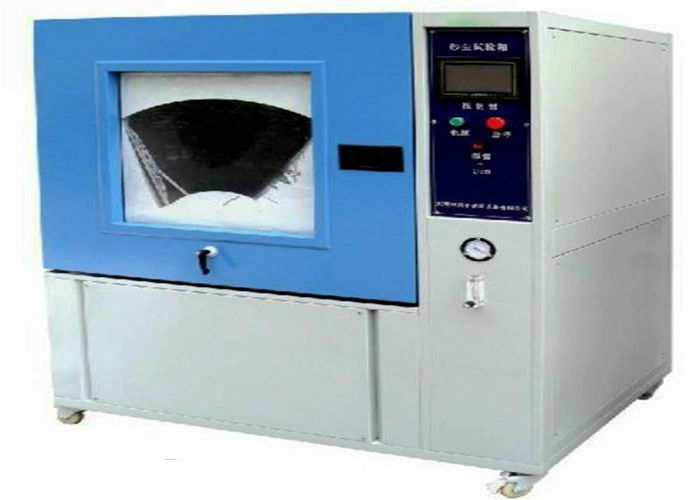 Sand and dust test chamber is designed for sealing performance test and reliability test, widely used in electrical, electronics, automobile, motorcycle, LED and other products. It is suitable for the workability test on the shell sealing performance, product in dust free settlement, in the environment without apparent air flow or with a strong blast air and a large amount of sand dust, and similar conditions. 1. Uniformly synchronization hammer vibration dust emission device. 2. Auto adjust dust concentration 100mg/m3-60000mg/m3. 3. 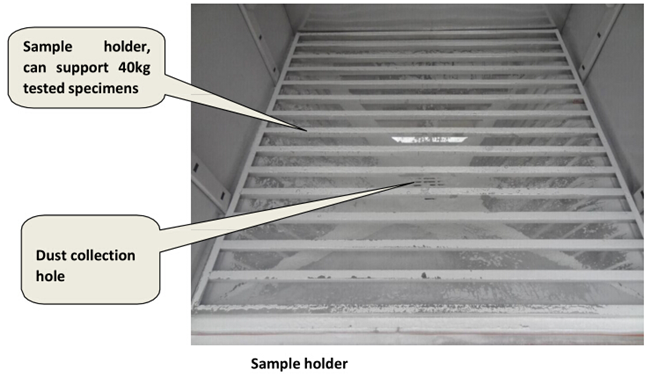 Interior chamber temperature and humidity control system. 4. Electrostatic eliminating device can avoid the dust on the chamber wall. 5. 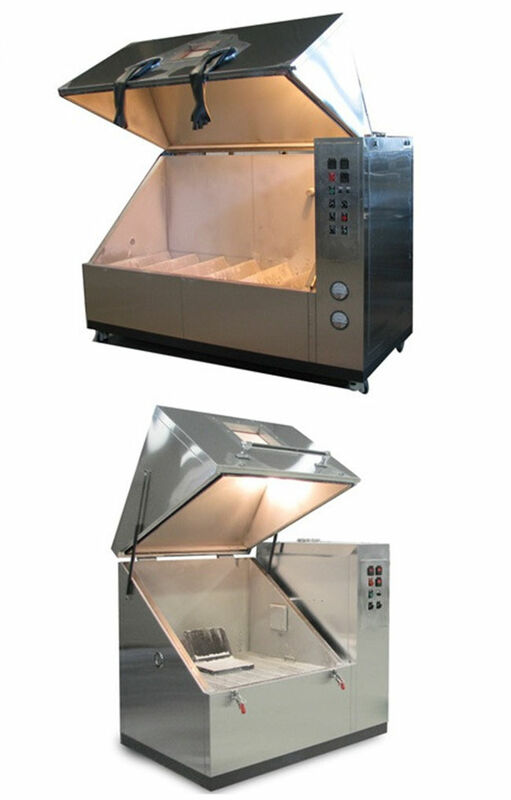 Automatic dust dehumidification system, to reduce the water content of dust and make sure dust in stable quality. 6. Available to supply EIA, JIS industrial dust, Arizona ash, Portland cement, talc, kanto sand dozens of respirable dust and not respirable dust. 7. Disposable dust belt, ensuring the safety of operator. 8. Automatic dust recovery device, reduce into chamber cleaning.